Fibromyalgia (FMS) and chronic fatigue syndrome (CFS or ME/CFS) can be lonely conditions. You might find it hard to remain part of social activities, and the people around you may not understand what you're going through. Many of us have to leave our jobs, which further isolates us and can add financial strain to our lives. Few people understand what it's like to have chronic pain or to be exhausted all the time. If they haven't experienced it themselves, it's hard for them to truly understand the frustration you face on those days when you just can't think straight and it's difficult to hold a simple conversation. And let's face it: most people don't want to hear about how horrible we feel all the time. Even if they want to be supportive, healthy people are often uncomfortable talking about illness. When you're around other sick people, though, the social pressure to not talk about illness is gone. When people with these conditions come across someone else with similar symptoms for the first time, it can be an immense relief to know that they're not alone. Many of us also find it easier to talk openly about what we're going through with people who have experienced it. Emotional ups and downs are common for those of us dealing with a chronic and potentially debilitating illness. Sometimes it helps to know you're not alone and someone else out there really gets what you're saying. Also, because of their nature, FMS and ME/CFS are conditions you have to learn to manage. People who've "been there, done that" can often be the best ones to help you find what helps you most. 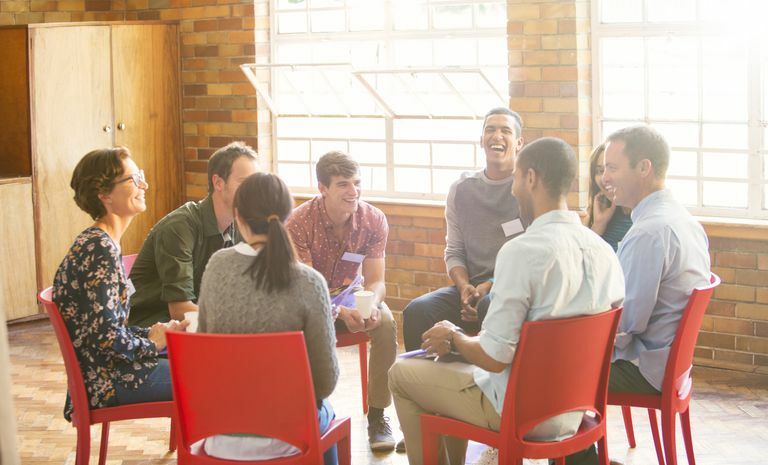 You can find myriad support groups online and, depending on where you live, you may be able to find them in your community as well. However, they also have some drawbacks. Just about any online forum can attract trolls who are just there to be obnoxious. The anonymity of being online can also bring out the worst in some people. Look for chat rooms or pages with active moderators who keep that kind of thing to a minimum. Before you jump into an online group and start sharing personal information, browse through the threads to see if the tone is generally positive or negative. Pay attention to whether there are a lot of spammy posts and whether there's an administrator who can deal with problems. Social media pages and groups can be great, as well, especially when it comes to closed or secret groups. Those are harder to find, though. Keep in mind that anything you post online may come back to haunt you. You might want to consider a second screen name to protect your privacy in case you're Googled by a current or prospective employer, as part of a legal case, or if you're applying for disability. To find a group in your area, there's always Google. You can also ask your doctor, check with local hospitals, and check with your health insurance company to find out about local resources and programs. If you can't find a local group, you might consider starting one. Sadly, because they're usually run by someone with these illnesses, support groups for us tend to disappear almost as soon as they get started. If there's not a group near you specifically for fibromyalgia or chronic fatigue syndrome, and you don't want to start one, feel free to consider support groups for other conditions with similar features. That could include chronic pain, arthritis, lupus, or multiple sclerosis. They're likely to welcome you, especially since some of their members probably have overlapping fibromyalgia anyway.